Is your vehicle in need of a tune-up? In a perfect world, your car would always run just as good as the day you drove it off the lot. There would be no need to hassle with oil changes, air filter replacements, tire rotations, or a check engine light that comes on. Unfortunately, cars and trucks are complex machines and need regular maintenance to continue running strong. If you feel like your car is sluggish or not running the way that it should, Federal Way Automotive & Radiator offers high-quality tune-ups in Edgewood, and has been for over 30 years! The term “tune-up” can refer to a number of tasks that need to be performed on an engine to make it run at its peak and are important for your car’s longevity. Depending on your specific vehicle and its condition, a tune-up can mean something completely for you than it does for the next person who comes in. 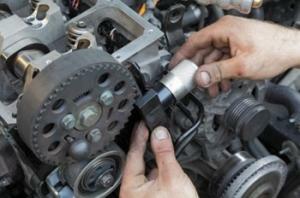 Every auto shop has their own tune-up procedure where they check for various problem areas. Our tune-ups include a thorough multi-point inspection to check for common performance issues such as air and fuel filters, spark plugs, and more. We also check the condition of all fluid levels and fill your tires to the ideal pressure. If we find any faulty or worn parts, we’ll replace them with your permission. Doing this can feel like taking years worth of wear off of your vehicle in a single day! Why should I get routine tune-ups for my car? Have you ever wondered why some cars can last upwards of 300,000 miles (there have been a number to clear the 500,000 mark or higher!) while others sustain major engine failure well before their odometer gets to this point? 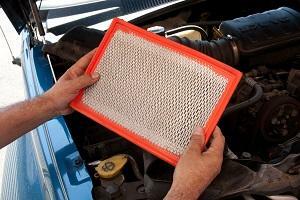 There’s a common theme many owners of long-lasting vehicles bring up; regular maintenance. Not sure when your coolant hoses were last replaced? Getting a tune up can help you get caught back up. Have a car a decade old and never changed the fluids? We can see if now’s a good time to do so. Brakes feeling week? A tune-up combined with brake service can make your car feel like new! Because everything in your car is interrelated, if one area is neglected for too long it can become a much larger problem down the road. This can result in costly repairs, which is why getting a tune-up can help keep your money where it belongs—in your pocket. Be careful about shady mechanic shops that quote you a low price and increase it after the work is done! Our estimates are always honest and upfront with no hidden charges. Choose us for your next tune-up! With ASE certified technicians and old-fashioned customer service, affordable, timely, and quality service is what we’re all about. Our locally-owned and operated company has been doing auto repair and tune-ups in Edgewood and the surrounding areas since 1982. As part of the local community, we care about the drivers around us and they appreciate our honesty, integrity, and value. Our family-owned auto shop is here to help you! Call or contact us today to see how our local auto services can help make your car run great again! When your car needs a tune-up there’s only one place to go. We always go to Federal Way Automotive & Radiator!